J.T. 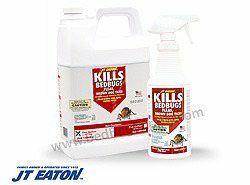 Eaton Bedbug II Spray is a water based contact spray offering an excellent knockdown when used in conjunction with its sister spray "JT Eaton Kills Bed Bugs." 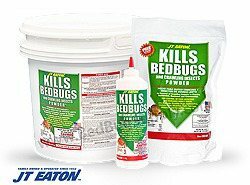 JT Eaton Natural Bed Bug Powder kills bed bug by attaching itself to the outer shell of the bed bug where it dehydrates and kills the bed bug. 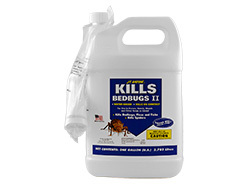 What's great about the powder is there are no resistant strains of bed bugs to this treatment and it's all natural. 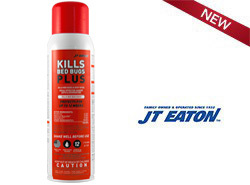 Another great feature is unlike other powders it will continue to kill indefinitely unless it become wet.